The Volkswagen Group who owns Audi has made no secret of the fact that they want to be the number one automaker in the world by 2018. They have taken another big step to reach that goal by building a major auto manufacturing plant in Mexico. With sales lagging in Europe, Audi AG is aiming to strengthening its successful growth path in the North American market. The first foundation stone for the new plant was layed in San José Chiapa, Mexico. This will be Audi’s first own car factory on the American continent. How will the new plant help the Volkswagen Group overtake GM and Toyota for the top spot around the globe? Audi will invest more than 900 million euros ($1,175,940,000) into the new plant in the next two years. They will have a complete auto factory where they will have a body shop, paint shop and assembly line, and also a new press shop. 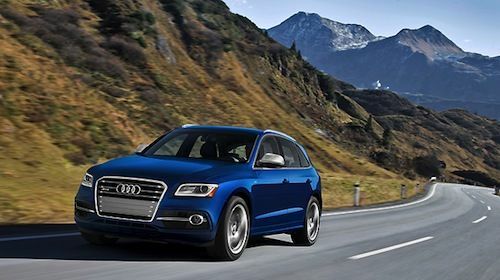 But what will help Audi in North America, is the production of one of their most successful models, the Audi Q5. Starting in mid-2016, the successor generation of the successful SUV model, Audi Q5, will drive off the assembly lines at the new plant in Mexico. Audi will primarily be strengthening their position in the U.S. market with the new-generation Q5 production, but it will be also a launching point to ship the successful SUV around the globe. “With the production of one of our most successful models here in Mexico, we will give significant impetus to our global growth and supply the extremely popular Audi Q5 from here to the world market,” states Rupert Stadler, Chairman of the Board of Management of Audi AG. Audi is growing all over the globe and the Q5 can also be seen in the new Iron Man 3 movie that was just released. What is Audi’s growth strategy? Audi layed out a plan late last year and said they will spend $17 billion through 2016 as part of an ambitious growth strategy that includes developing new cars and technology. Audi said more than $14 billion of that amount will be allocated to "modernizing and expanding Audi's portfolio of products as well as financing core areas of expertise such as lightweight design/construction and electric mobility." They also have a goal to sell more than 2 million vehicles annually by 2020 in a bid to overtake BMW. Audi is building the most modern factory in the global Audi production network. On an area as big as 400 soccer fields, a highly efficient manufacturing and logistics facility will be built by mid-2016 with an annual production capacity of up to 150,000 cars will be produced. It looks like the new-generation 2016 Audi Q5 that is produced in Mexico will truly be a global SUV. It will be interesting to see if Volkswagen AG can become the number one automaker in the world by 2018.